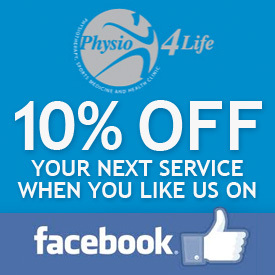 Welcome to Massage Therapy at Physio4Life, our state of the art Massage Therapy Clinic in Putney London SW15. Founded by Mark Saunders in 2002, we provide an excellent massage therapy service for people all over London you are unlikely to find anywhere else in London. Our team of dedicated massage therapists in London for Sports Massage, Deep Tissue Massage, Remedial Massage and Pregnancy Massage are here 6 days a week. The business was founded in 2002, out of the concept of providing the very best in Massage Therapy and other associated therapies that complement each other including Physiotherapy, Pilates, Orthotics and Personal Training. 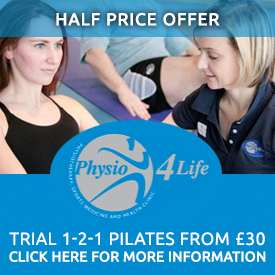 Initially, Physio4Life operated with the owner Mark Saunders and one receptionist, but due to its success moved to a bigger location in Putney at new premises on Upper Richmond Road. The business has continued to grow and now employs over 23 people helping to maintain this fantastic concept. The business continues to grow on a weekly basis, with the current number of clients visiting Massage4Life in Putney in excess of 450 people per week. The success and unique proposition of the business is down to a combination of our excellent facilities, flexible opening hours, convenient location, highly trained staff, availability of appointments, excellent customer service and competitive pricing. Success can be measured in a number of ways but perhaps the greatest testimony to our success is the number of returning clients. Not only this, but 70% of all our new clients come via personal recommendations, demonstrating the high level of customer satisfaction. Massage4Life is located on the second floor of the Putney Medical Centre in London. 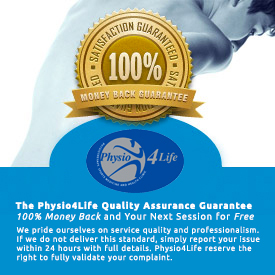 The floor space of Massage4Life is over 4000sq2 and has been designed specifically to a high spec in order that all of our services are presented in a well thought out environment. Comprising of large spacious private treatment rooms, gym/ rehab area, pilates studio as well as a large comfortable reception area and changing facilities. The clinic uses some of the latest equipment for Massage Therapy, Physiotherapy, Osteopathy and Personal Training as well as having a fully equipped pilates studio including reformers, cadilac, pilates chair and much more. When you wish to book an appointment with one of our highly trained Massage Therapists, our team will discuss your needs and make sure you are seen by the most appropriate expert, and ensure your time at the clinic is a good experience. Massage4Life has numerous experts with numerous specialties or interest in order that your problem is rectified as quickly as possible.